Borrowing the suggestive title ‘Secrets of the Orient’ from the 1928 German-French studio spectacular, the symposium will focus on the use of fashion, costume and mise en scène in the construction of an Orientalist imaginary in Western as well as Eastern cinema. 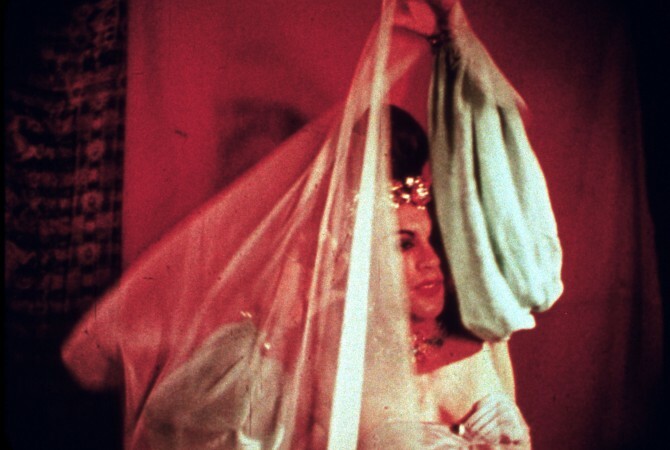 The symposium will bring together critics, historians, theoreticians and practitioners to discuss the crucial role that costume, sets and props have played in defining and illustrating Western visions of the East while at the same time pointing to films that unsettle, critique or reposition these fantastical visions. The symposium will consider how various aspects of “dressing” film (through movement, duration, texture etc.) or un/dressing in film construct cultural identity and “otherness” as well as a kind of “cosmopolitan body” that suggests a global vernacular erasing cultural difference. Sponsor: Cultural Services of the Embassy of France; Calhoun College, Film Study Center, ITS Academic Technologies; Film Studies Program; KG Productions; the Museum of the Moving Image; and the Whitney Humanities Center. Of spe-cial note, this symposium was generously supported by the British Council, the Edward J. & Dorothy Clarke Kempf Memorial Fund at Yale, and the Beinecke Rare Book and Manuscript Library.